Our Under 21’s travelled to Killeeshil today for their Grade 2 Quarter Final clash and fell to a defeat against a very strong Killeeshil team. The young Sarsfields got off to a good start in the game with Darragh O’Kane getting the first point from a free kick. The home side took their chances however and some good interplay saw them kick the next three scores including two goals. The Sarsfields kicked several wides before Aaron Montgomery added another point for the visiting team. 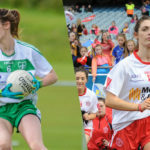 Killeeshil added a series of points to the scoreboard before Malachy McManus kicked Drumragh’s final point of the half. Drumragh started the second half with great determination and their hard work was rewarded with points from Aaron Montgomery and Andy Colgan in the first two minutes. The Sarsfields were pushing forward with great resolve at this stage with Darragh O’Kane and Aaron Montgomery adding another four points for the visiting team. Killeeshil responded on the break with a goal and a point however great defending from Ciaran Donaghey and Mark Carroll prevented further Killeeshil scores. 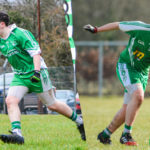 Andy Colgan and James Broderick added further points for Drumragh before a series of scores from Killeeshil sealed their victory. Final score – Killeeshil 4-14, Drumragh 1-11. 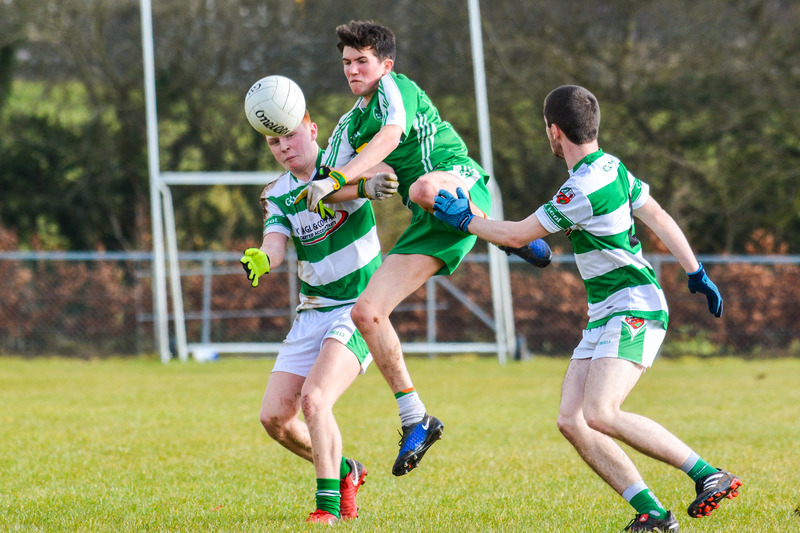 Malachy McManus and Ronan Maguire put in strong performances in the forward line while the defensive unit including Oran Donaghy, Brendan McGrath and Michael Roche stopped several Killeeshil attacks. Drumragh can be pleased with their performance’s in the Under 21 competition this season. Many of the lads will now turn their heads to the Senior & Reserve ACL which starts at the end of the month while several key players will commence their Minor league campaign next weekend. Thanks to Gerry and Martin for their work with the team over the last month.